When living in Germany, my too favorite dishes were broth fondue and raclette, both were introduced to me by my husbands Grandmother. Now in the US, I found a replacement for the Fondue….a restaurant called “The Melting Pot”. This is my favorite restaurant, which is my choice whenever I get to pick the spot for those special occasions. 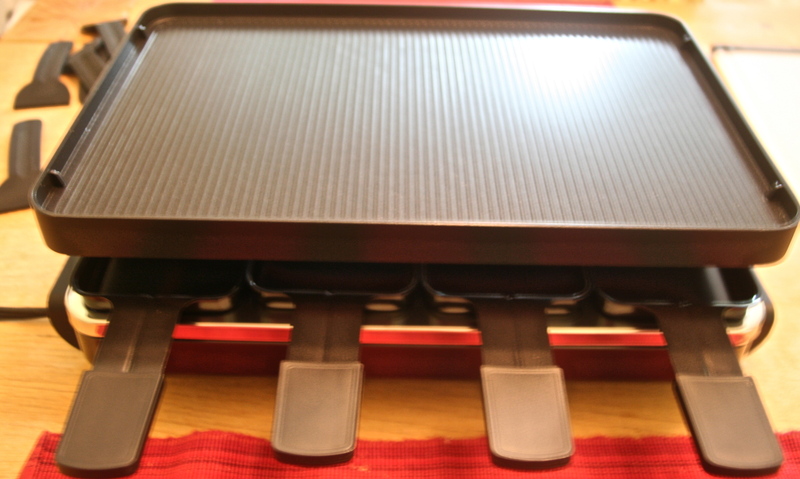 Look what I got for Mother’s day…it is a Raclette set!!! 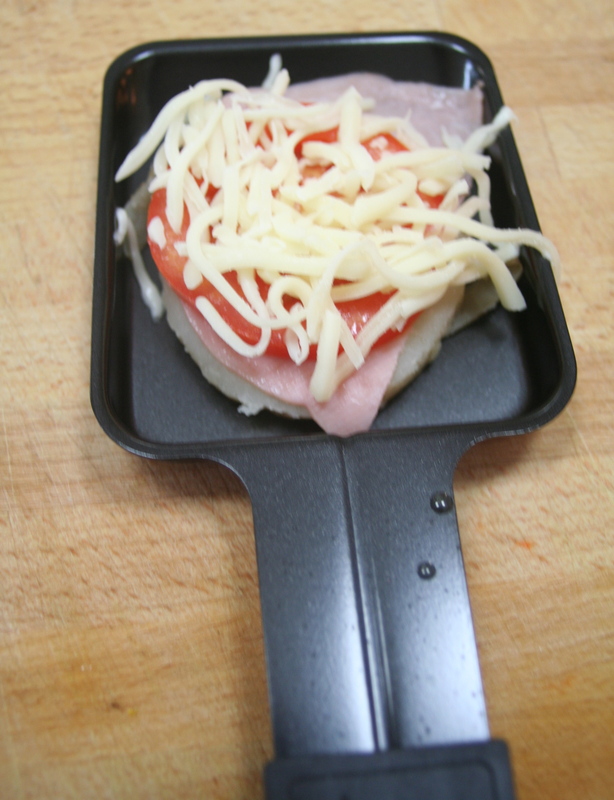 For those who don’t know what a Raclette set is, it involves an electric table-top grill with small pans, known as coupelles, to heat slices of cheese with miscellaneous vegetables. 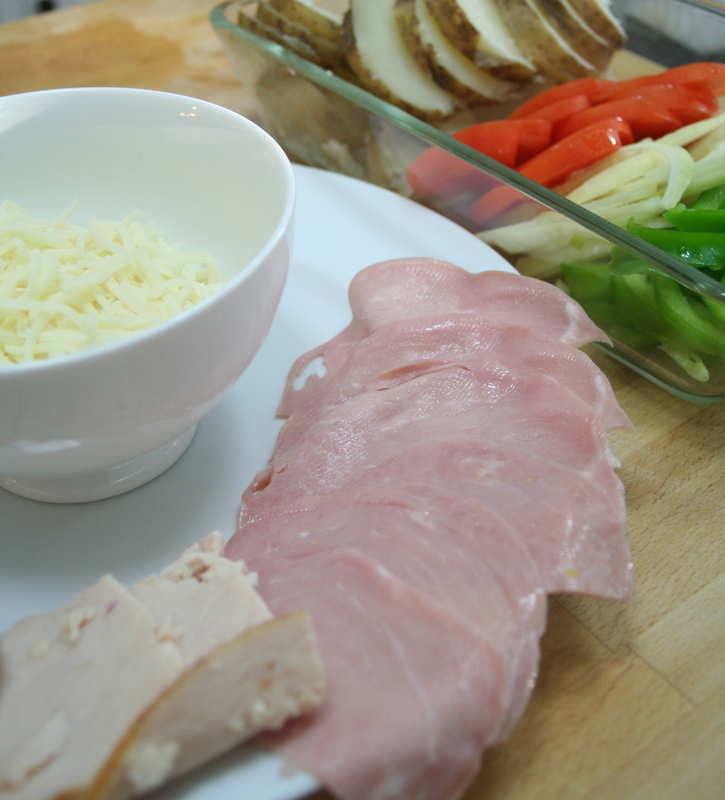 In the coupelles layer the potato, ham (or chicken), and cheese. Place the tray under the grill tray so the elements add as a grill. Leave for ~ 5 mins. 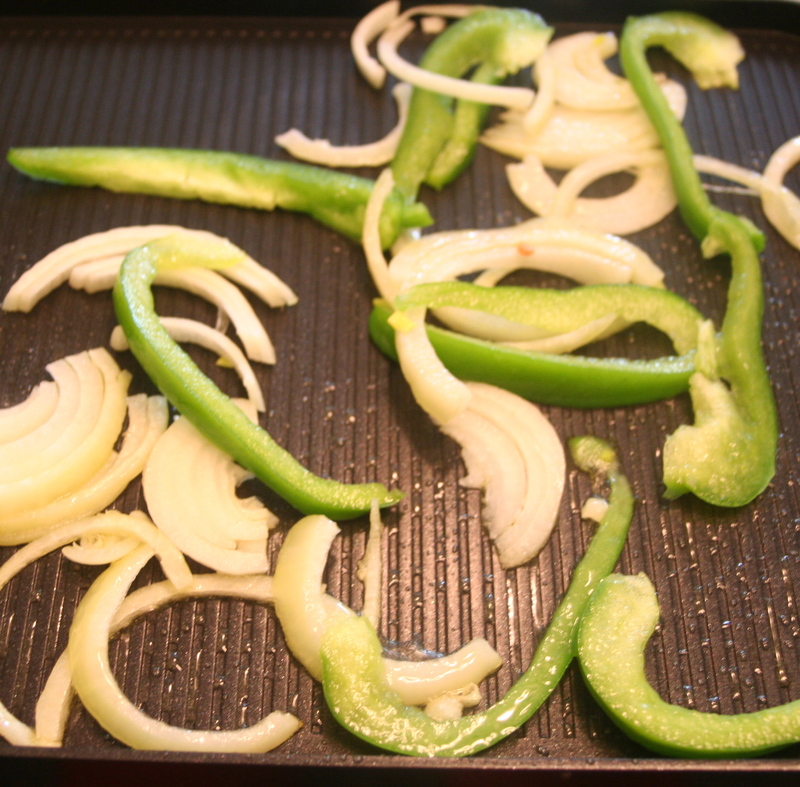 Top with grilled onion, bell peppers and fresh cracked pepper. 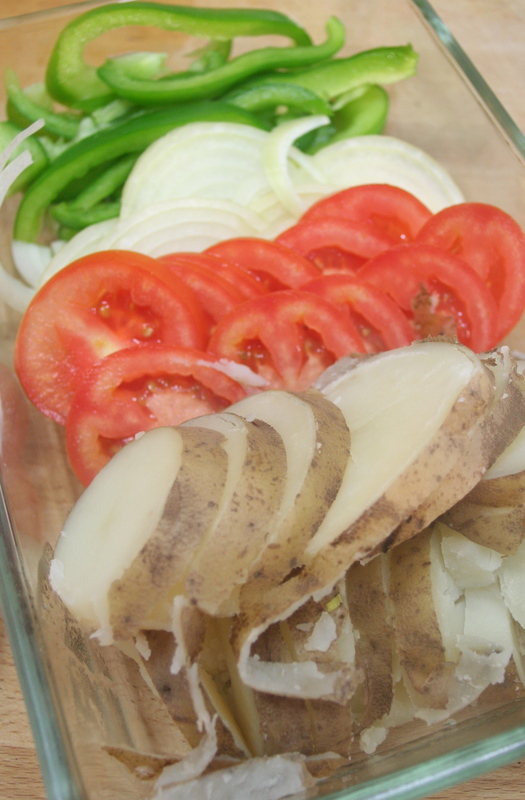 Use the scraper and scrap the ingredients onto a plate and serve. This was dinner last night and boy it was great!! I love both fondue and raclette for the same reasons…both a very social activities as you have to cook your own food and secondly, you eat slower. Onto our meal plan this week…. 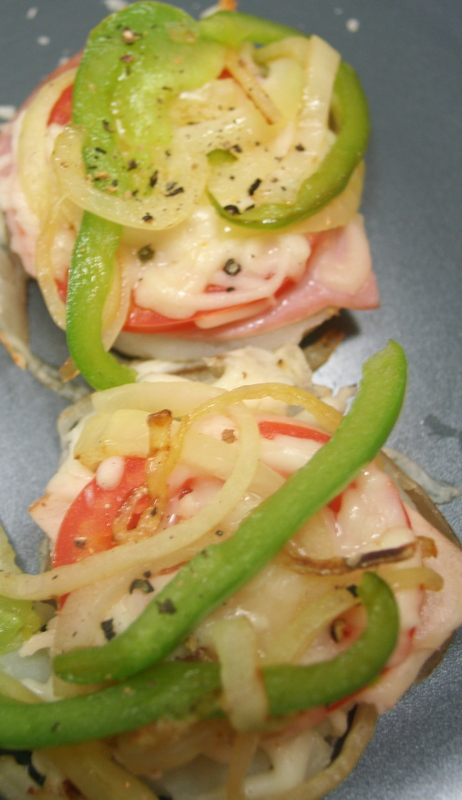 This entry was posted in Uncategorized and tagged bell pepper, bircher muesli, cheese, chicken, dinner, Fondue, food, ham, meal plan, meals, onion, potato, potatoes, Raclette, recipes, tomato, weekly meal plan on May 13, 2013 by mlwilkie.